There are seven stages of Jnana or the seven Jnana Bhumikas. 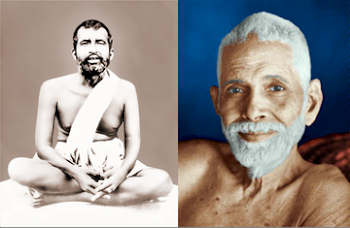 First, Jnana should be developed through a deep study of Atma Jnana Sastras and association with the wise and the performance of virtuous actions without any expectation of fruits. This is Subheccha or good desire, which forms the first Bhumika or stage of Jnana. This will irrigate the mind with the waters of discrimination and protect it. There will be non-attraction or indifference to sensual objects in this stage. The first stage is the substratum of the other stages. From it the next two stages, viz., Vicharana and Tanumanasi will be reached. Constant Atma Vichara (Atmic enquiry) forms the second stage. The third stage is Tanumanasi. This is attained through the cultivation of special indifference to objects. The mind becomes thin like a thread. Hence the name Tanumanasi. Tanu means thread - threadlike state of mind. The third stage is also known by the name Asanga Bhavana. In the third stage, the aspirant is free from all attractions. If any one dies in the third stage, he will remain in heaven for a long time and will reincarnate on earth again as a Jnani. The above three stages can be included under the Jagrat state. The fourth stage is Sattvapatti. This stage will destroy all Vasanas to the root. This can be included under the Svapana state. The world appears like a dream. Those who have reached the fourth stage will look upon all things of the universe with an equal eye. The fifth stage is Asamsakti. There is perfect non-attachment to the objects of the world. There is no Upadhi or waking or sleeping in this stage. This is the Jivanmukti stage in which there is the experience of Ananda Svaroopa (the Eternal Bliss of Brahman) replete with spotless Jnana. This will come under Sushupti. The sixth stage is Padartha Bhavana. There is knowledge of Truth. The seventh stage is Turiya, or the state of superconsciousness. This is Moksha. This is also known by the name Turiyatita. There are no Sankalpas. All the Gunas disappear. This is above the reach of mind and speech. Disembodied salvation (Videhamukti) is attained in the seventh stage.